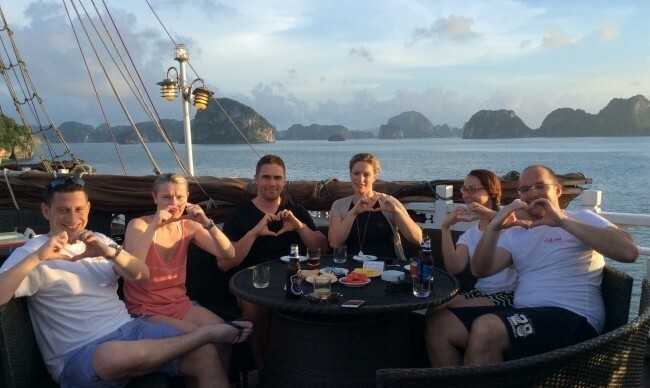 A wooden junk crewed by a professional, loyal and dedicated team. 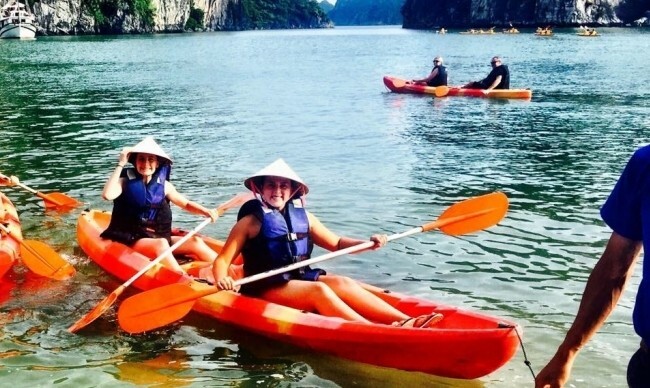 Plenty of opportunities for activities- caves, kayaking, visit to the pearl farm or relax on the top deck and enjoy the stunning views with a few drinks or massage available. 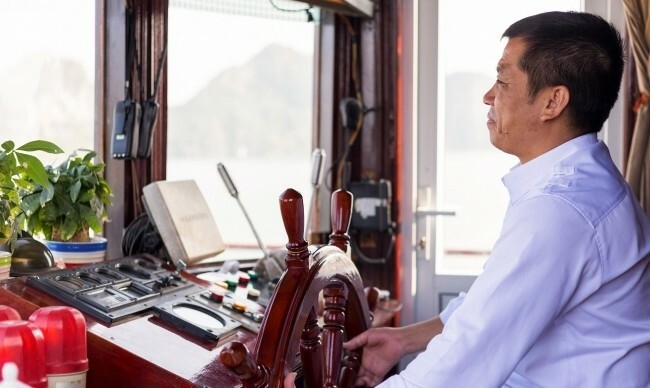 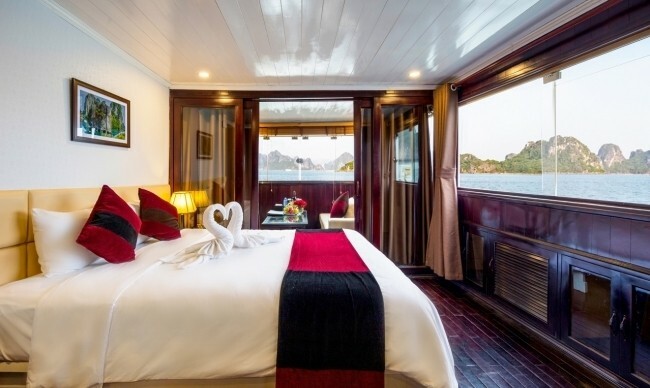 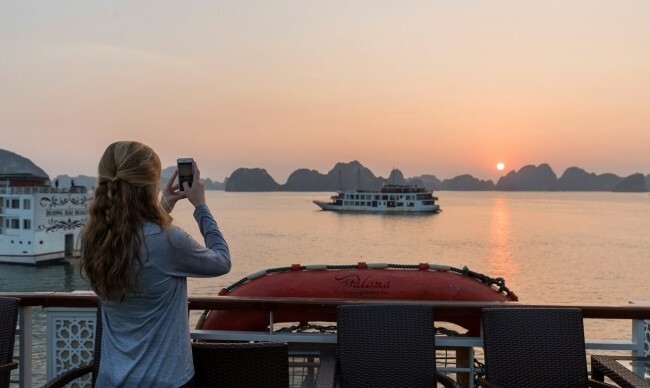 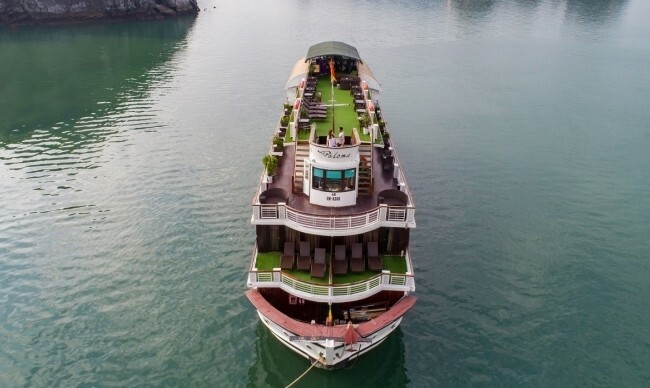 Launched in 2009 & renovated on September 2017, Paloma Cruise is a a 4-star wooden Halong bay cruise that was designed in Chinese style and equipped with modern convenience. 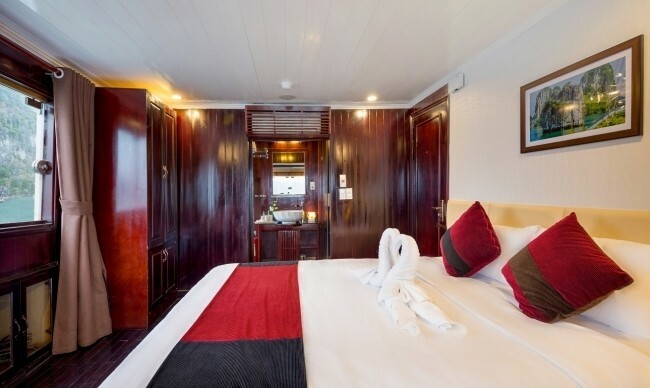 The ship has 20 Luxury Cabins, bar & restaurant, spa and sundeck. 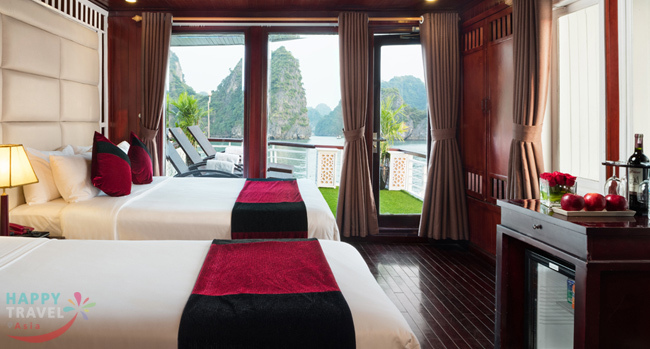 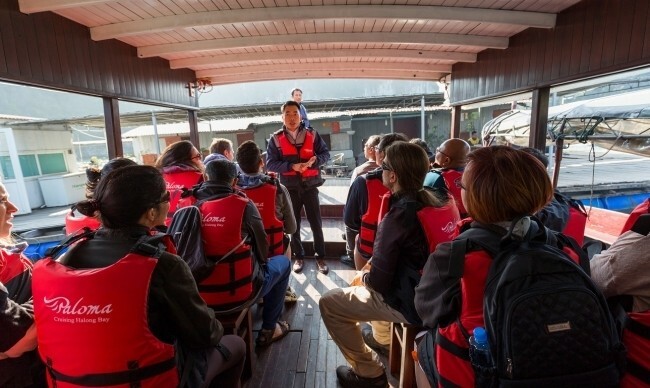 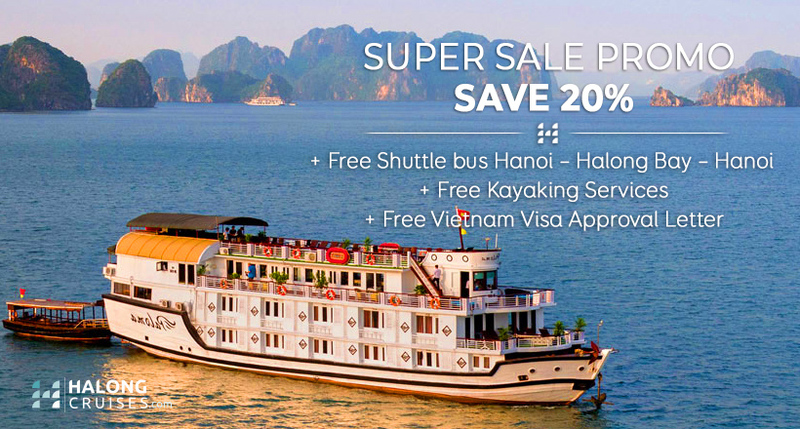 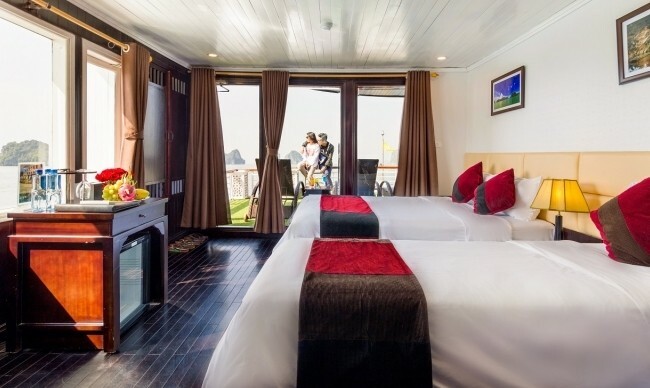 Tourists will be served the best services on Halong Bay by our skilled crew in a luxurious and intimate ambiance. 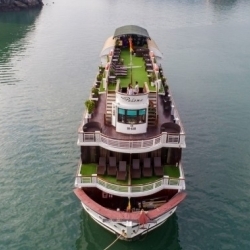 Paloma Cruise takes pride in showing the less crowded areas of Bai Tu Long Bay. 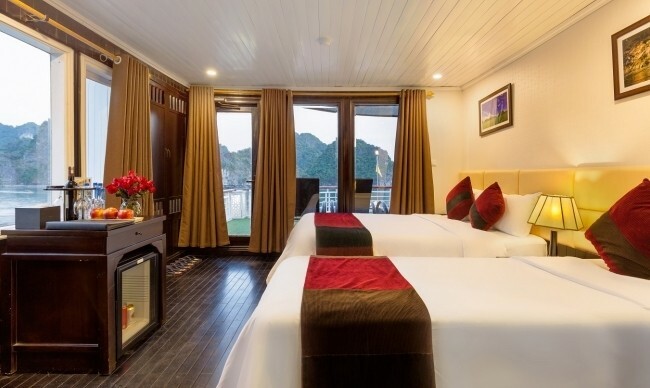 Its itinerary offers visit to Vung Vieng fishing village and Lan Ha Bay where the cruise can arrange rowing boat, kayaking, squid fishing, and other thrilling activities. 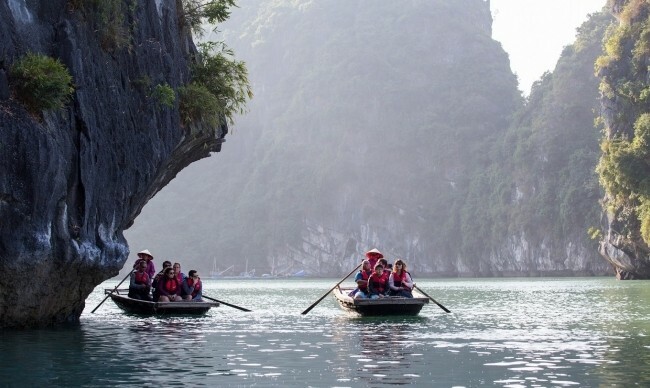 Besides, the junk covers other famous sites such as Sung Sot Caves, Dark Light Caves, which will present the charming beauty of Halong Bay. 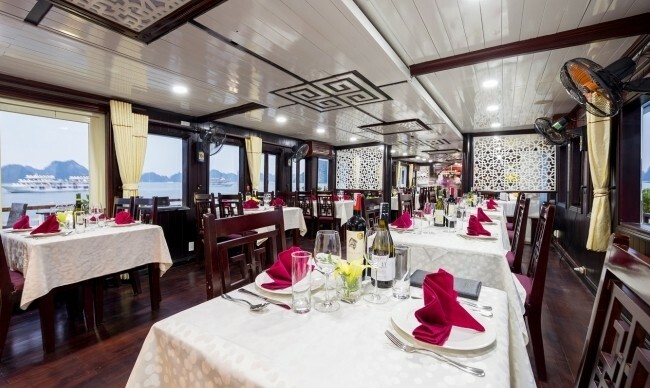 With professional arrangement and enthusiastic staff, Paloma Cruise doesn’t let any dull moment in your excursion. 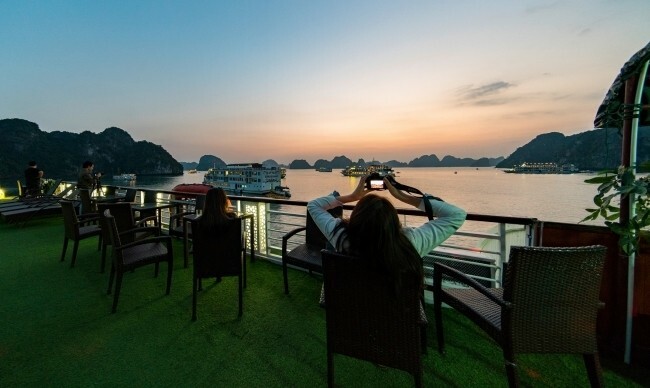 If you favor on-board atmosphere, you can opt for mini library with updated newspaper and books or enjoy board games with your travel mates. 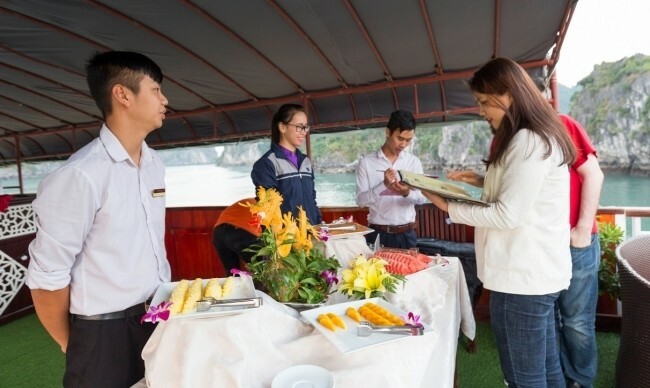 Cooking demonstration is performed frequently to help you explore the Vietnamese culinary art and savor the skills of the chefs. 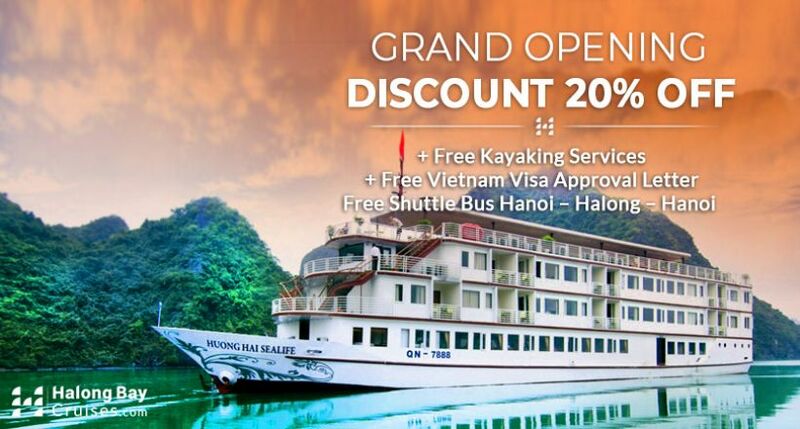 If open ambiance is of your interest, a wide range of awe-inspiring activities are awaiting you. 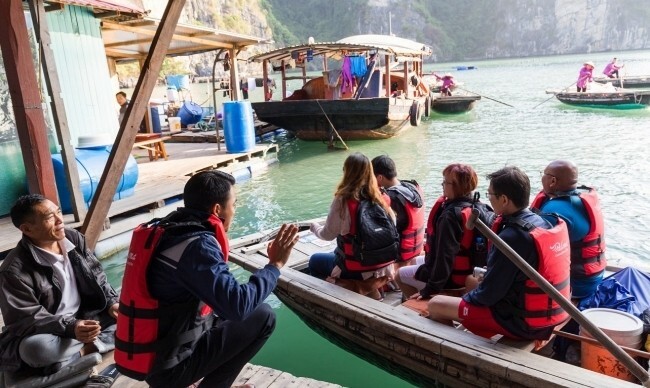 Boat rowing, kayaking and snorkeling can be arranged when the cruise passes by Vung Vieng Fishing Village and Lan Ha Bay. 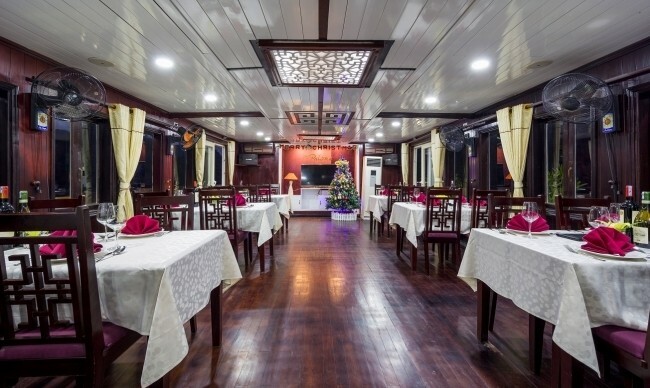 The junk can also provide you with fishing equipment for exciting squid fishing or night fishing. 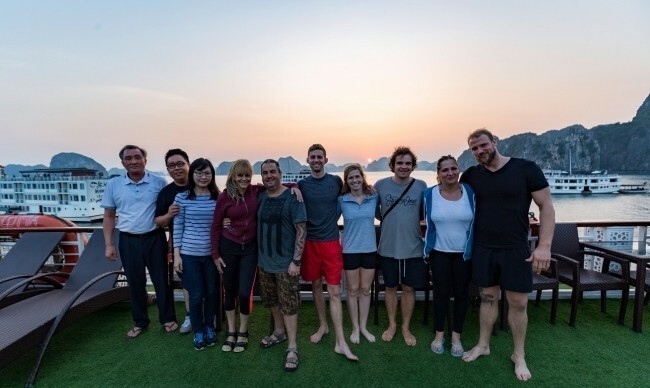 You can make request for rocking climbing and enjoy the feeling of conquering the challenge. 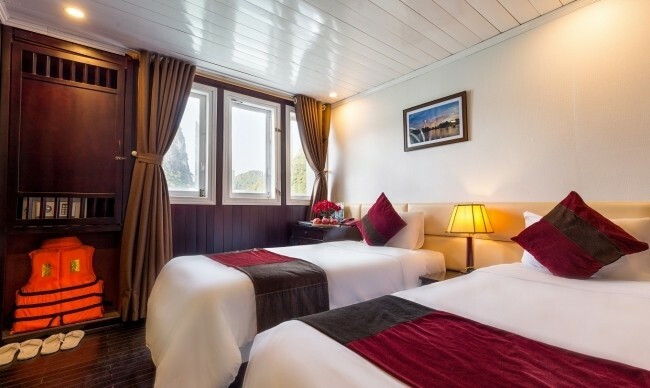 The junk also boasts spa and beauty facilities with sauna, steam bath. 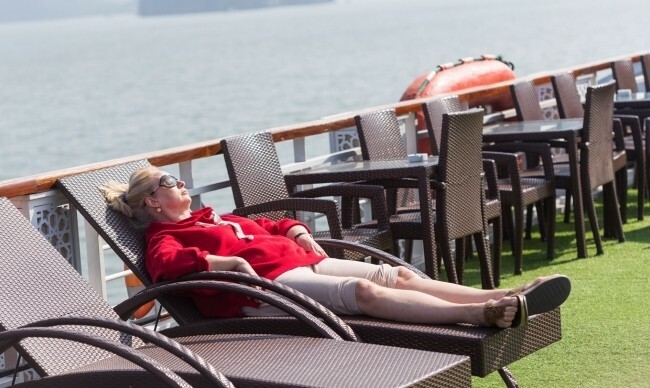 Let the cruise’s therapists unwind your strain and relieve the tiredness. 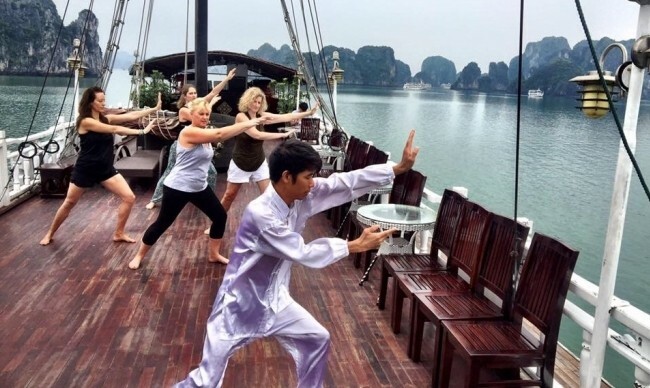 Tai Chi exercise is a great choice to relax on the vessel. 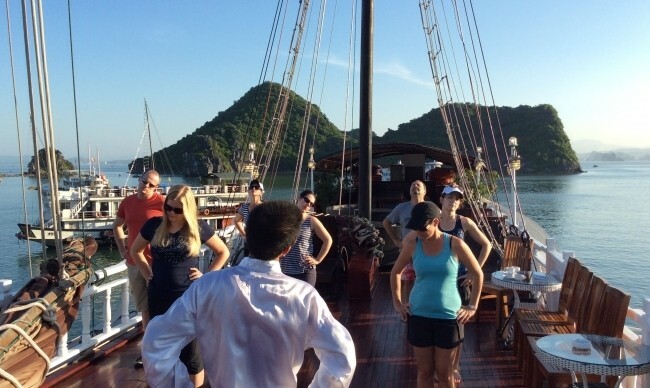 Tai chi class is arranged every morning on deck with experienced trainers. 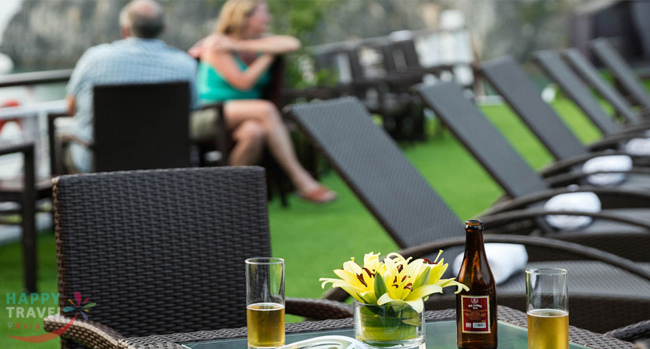 The gentle and relaxing exercises and tranquil ambience will help you reach the stage of utmost relaxation. 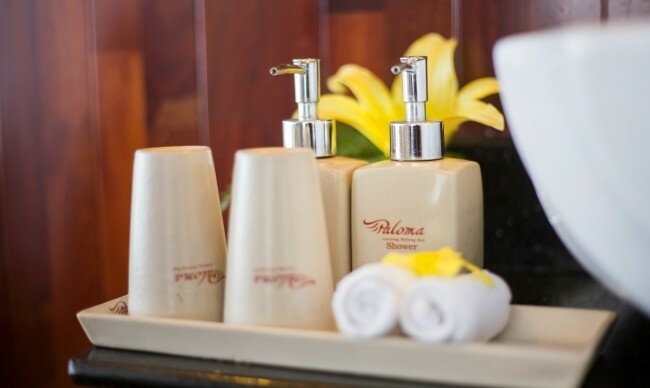 Paloma Cruise features modern facilities, offering guests a variety of dining styles. 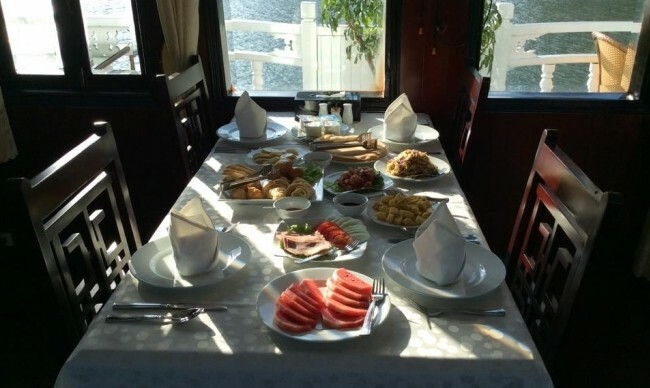 Besides conventional set menu, you can choose buffet breakfast or BBQ lunch prepared on beach (3 days and 2 nights only). 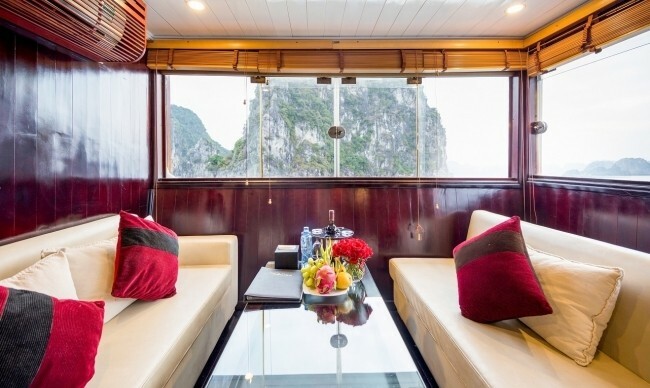 The cozy bar is a pleasant place to enjoy comfortable ambiance and sample refreshing cocktails and several choices of drinks. 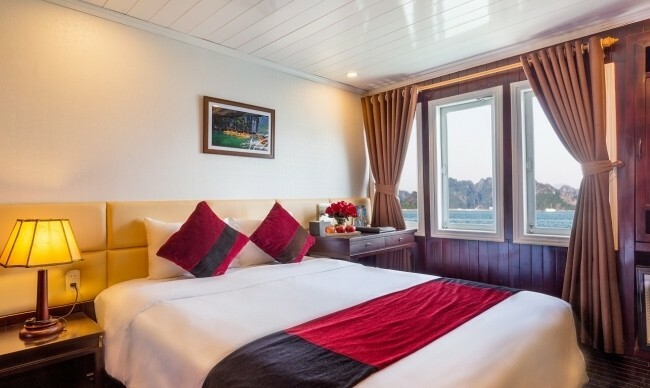 Paloma cruise offers you a selection of superior, deluxe cabins, honeymoon suite and family suites mixing the modern with traditional elements. 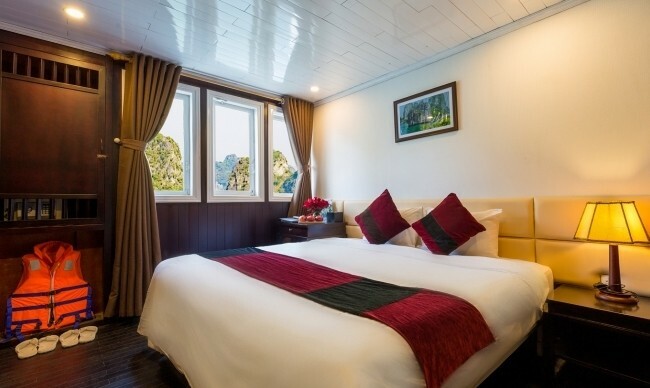 All rooms are fully equipped with air conditioner, in house phone and bathroom amenities, allowing tourists to relax themselves in comfort and luxury.